Cut this herb from the ground when it is green, between the end of the month of May and mid June. The moon should be waxing and close to its opposition with the sun, because at this point the plant is in its perfection and gives a lot of salt, more than it would at other times and of better nature, strength and whiteness. 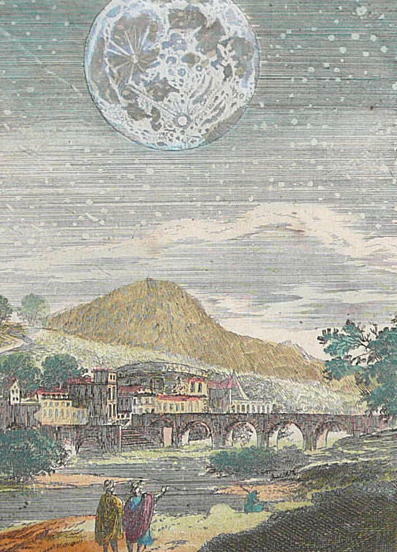 At first, it is tempting to dismiss this lunar influence as the product of a fertile imagination, but let us take a closer look. Even today, grandmothers throughout Italy remember the advice to pick vegetables from the garden and bring them into the kitchen at a half-moon. Can nona be completely off-track? The fact is that tidal forces of the moon do subtly affect plants, fish and animals in ways that can be measured. A closer look at Neri’s advice reveals reasoning that is hard to dismiss as mere astrological superstition. When the moon is waxing, tides rise and so do water tables. According to folklore, this is when sap rises from the roots of plants into stems and leaves. Sap carries the dissolved mineral salts required for glass. Neri also stipulates that harvesting should take place during lunar opposition. When the moon is 'opposed' to the sun, it is on the opposite side of the earth from the sun. In opposition, the moon is near full and rises as the sun sets. Plants see more light at night, leading to increased photosynthesis and growth. In contrast, violin makers from Cremona valued high alpine spruce called moon wood. Trees were felled in the wintertime, when lunar tides were low. This minimized the amount of vibration deadening sap in the wood. In his Natural History, Pliny relates Cato’s advice on felling trees in accordance with the lunar cycle. In fact, centuries-old tradition specified lunar conditions for a host of needs from construction timbers to cheese boxes. In this case the advice relates to picking ferns for use in glass. Fern ash is high in potassium carbonates. If carefully purified it can make an exceedingly clear glass, rivaling or even surpassing Venetian cristallo. It has the additional advantage of being physically tough, making it ideal for engraving or diamond-point work. On the other hand, once out of the furnace it stiffens quickly, giving it a short 'working life' for the hot glass artisan. This limits designs to simple basic forms. While soda-based glass was the norm for the Mediterranean region, throughout the Middle Ages and into the Renaissance, northern Europeans were more likely to be making potash-based glass. They utilized the potassium rich local trees and plants of the northern forests. In France, fern glass is called verre de fougère. In the considered opinion of some connoisseurs, wine tasted better when sipped from verre de fougère cups, hence the delightful expression 'le vin rit dans la fougère' [wine laughs (sparkles) in the fern]. Chaucer, in turn, borrowed this reference from an epic twenty-two thousand line French poem from the late thirteenth century, when the technique of making glass from ferns was already ancient. * This post is a mashup of material that first appeared here on 5-7 August 2013.